No. 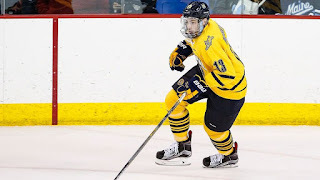 7/8 Quinnipiac returned home to its friendly confines of High Point Solutions Arena for their ECAC home opener and exploded for six goals in a 6-3 win over the Dartmouth Big Green. Junior Landon Smith led the Bobcats with a natural hat trick in the victory. The Bobcats honored the military on Veteran's Day by wearing their camouflage jersey's. Dartmouth got on the board early in the first period when sophomore Kevan Kilistoff redirected a shot from the point by Cam Roth past goaltender Chris Truehl 1:01 into the game. The Bobcats tied the score on a power play goal by freshman Karlis Cukste at the 7:48 mark in the first. Just under four minutes later the Big Green retook the lead when John Ernsting cleaned up a rebound from Truehl and put it in. A little more than five minutes into the second period the Bobcats once again scored on the power play when Tim Clifton scored his team-leading sixth goal of the season. With 1.8 seconds left in the second period junior Bo Pieper scored to give the Bobcats their first lead of the game heading into the second intermission. In the third period Landon Smith took over the game, scoring three goals to put the game out of reach for the Big Green. He scored his first goal at the 3:57 mark of the period on assists by Luke Shiplo and Andrew Taverner, The Bobcats fourth goal would prove to be the game winner when the Big Green responded a little under four minutes later on a goal by Cam Strong to cut the lead to 4-3. Smith then scored two goals in under two minutes with one of them coming on the power play. Chase Priskie looks to be rounding back into form as he had three assists with two of them on the power play while both Karlis Cukste and Tim Clifton finished with a goal and assist apiece. K.J Tiefenwerth also had two assists on the night and Chris Truehl had 21 saves in the victory. 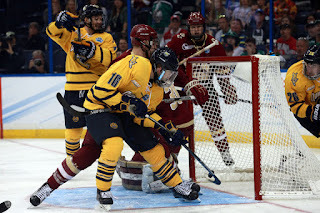 It looks as if the weekend off prior to the North Country trip did wonders for the Quinnipiac special teams which struggled to begin the season. In its last three games the Bobcats are 5-for-20 on the power play which is a 25% clip and has also killed 31 of its last 32 penalties over its last five games for 96.9% clip. 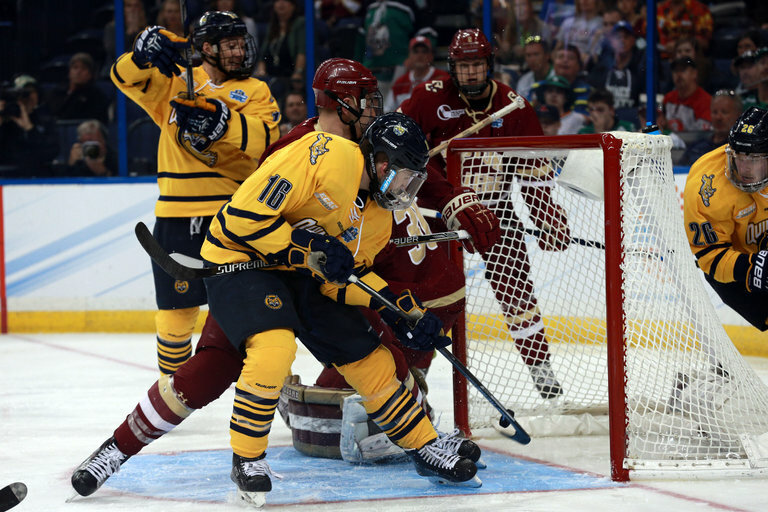 Quinnipiac also put its most shots of season on goal with 54 shots on Dartmouth's Devin Buffalo who had 48 saves. Quinnipiac returns to action on Saturday against the No. 10/10 Harvard Crimson who are fresh off a 5-2 win over Princeton and now are 4-0-1 on the season.